It’s got zing, it’s got flavour and it’s moister than any chicken would ever have the right to be. 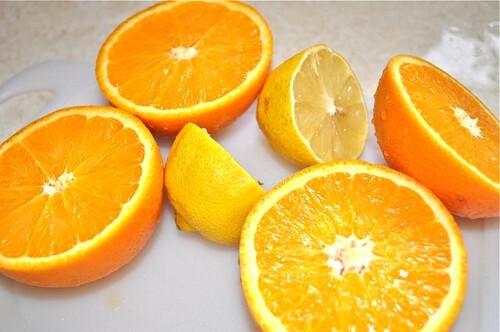 Well, you’d be too if you spent 24 hours soaking in citrus! It’s the citrus juice that does a real number on the meat – we’re talking weak in the knees, soft in the thigh, plump in the breast – the chicken doesn’t have a chance. 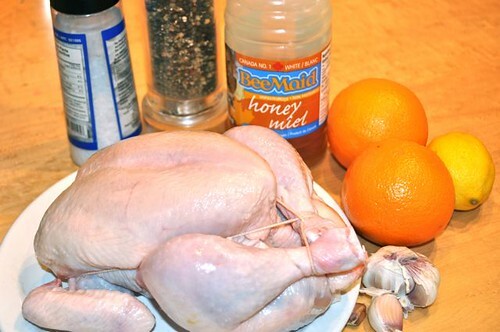 I have, in fact, left this to marinate for, wait for it … 48 hours. It’s like time spent in rehab (not that I know anything about that) but, I imagine you’d come out a kinder, gentler, softer more pliable version of your former self – the demons are gone! 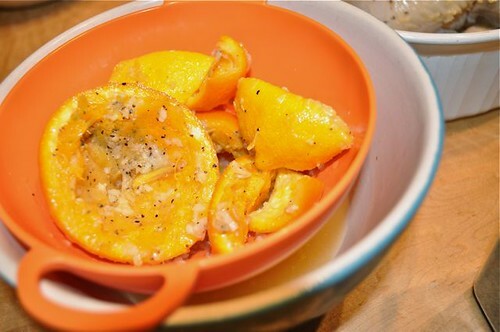 So try this chicken, use the citrus of your choosing and see for yourself how the humble chicken – after acid rehab – becomes resigned roasted royalty (I just love alliteration!) So do yourself a big favour and roast a chicken or 2, at least weekly – it’ll turn into more meals than you can come up with! 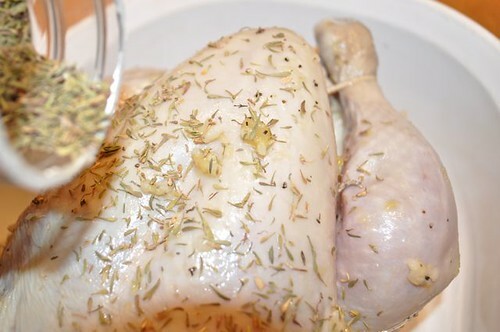 Salads, pastas, soups, sandwiches, tacos, rice dishes – roasted chicken gets along with everything – kinda like Switzerland! 4. 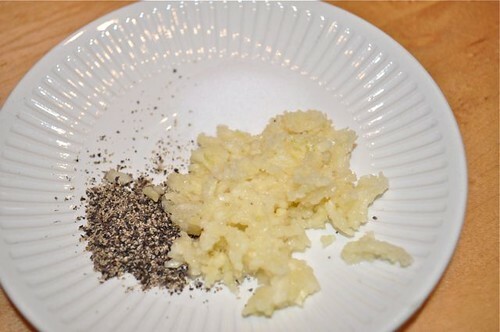 Mince the garlic and don’t forget the salt & pepper. 5. 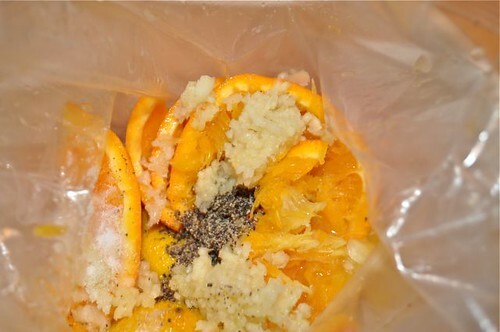 Get the citrus rinds, juice, garlic and S&P in a large ziploc bag. 6. 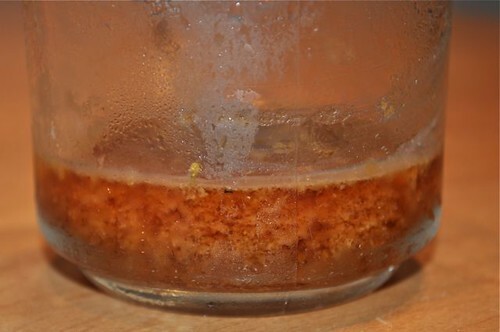 Drizzle in a glug or 2 or 3 of olive oil. 7. Get the chicken in there. 8. And smoosh everything all around and refrigerate for anywhere from a few hours to overnight or even longer – until your ready to cook. 9. 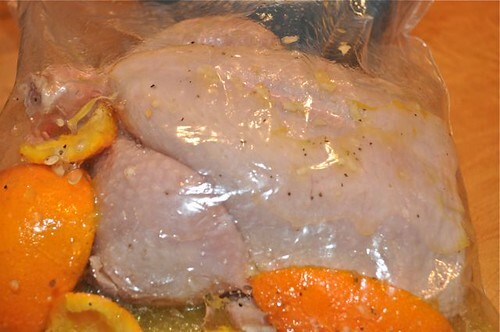 Remove the chicken and pour the contents of the bag through a sieve to separate the solids from the liquid. 10. 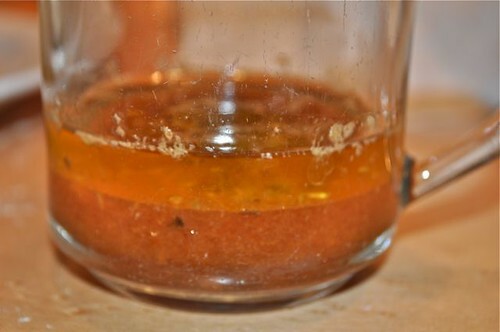 And this is what you’re left with to build your sauce. 11. 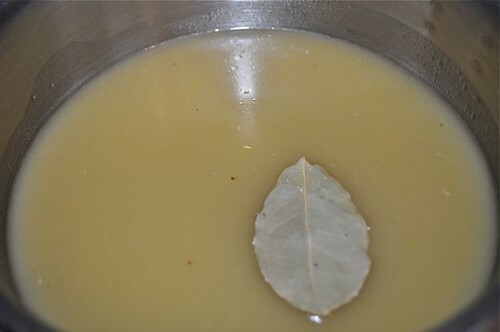 Put the liquid in a saucepan, add a bay leaf and set aside until you’re ready to make a sauce. 12. 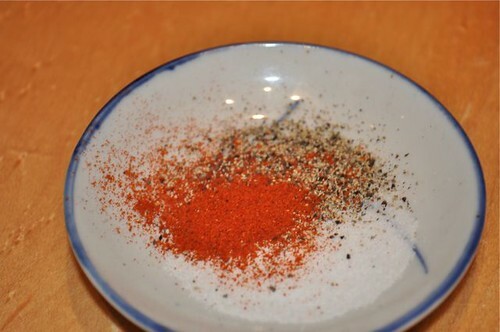 Get paprika, salt & pepper ready and set aside. 13. 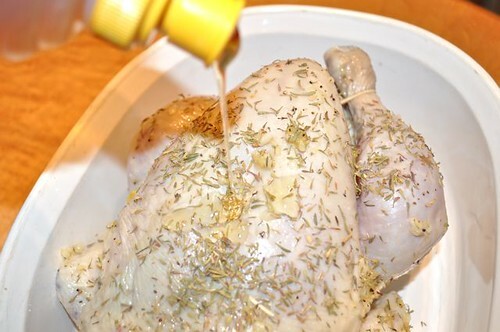 Put the chicken in a roasting pan and start seasoning. 16. 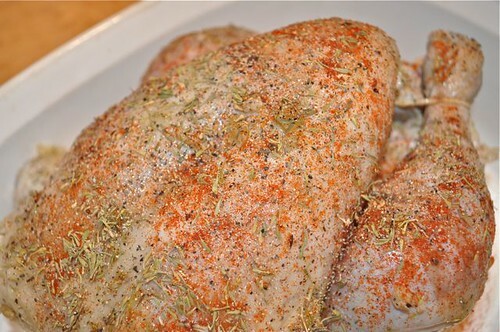 Finish with the paprika, salt & pepper and roast for 45-60 minutes. 17. Until golden & crispy. You can certainly stop here or carry on and make a yummy sauce using the pan juices from the roasting! I could never, ever, ever throw away pan juices! Ever. 18. 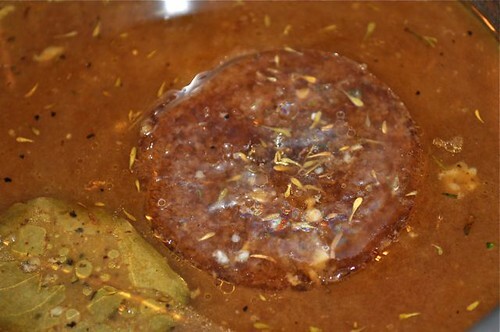 So back to the sauce – pour the pan juices into a measuring cup and let the fat rise to the top. 19. A quick trip to the freezer solidifies the fat and makes it very easy to remove. 20. 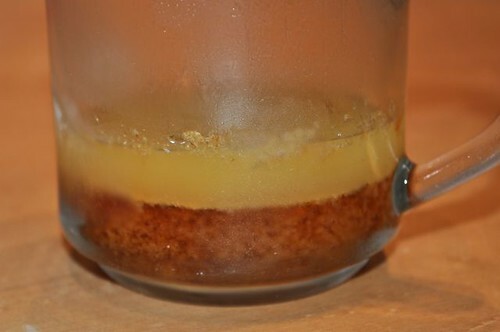 Using a spoon, just scrape it off the top just like this. 21. 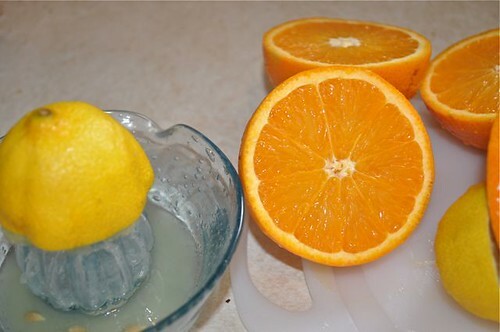 Add the disc (it’ll be gelatinous) to the citrus juices in the pot, bring to a boil, gently simmer for a few minutes to reduce slightly. Serve it alongside the roast chicken to drizzle, dip or douse wherever you like – the chicken, rice, potatoes, roasted vegetables … whatever! 22. 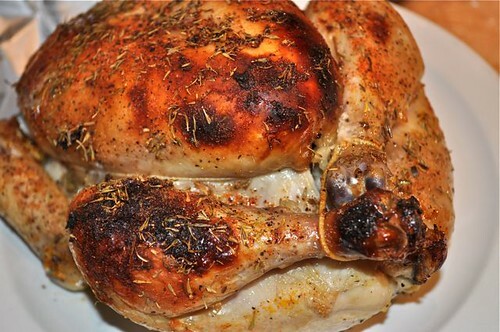 And there you have it – citrus roasted chicken! 2. 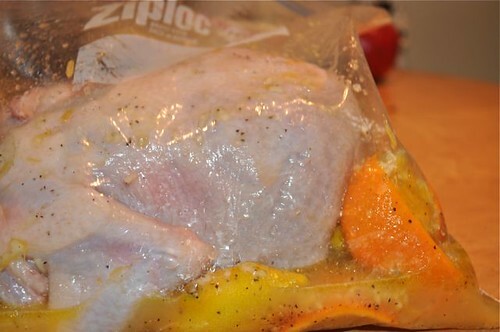 Remove the chicken from the ziploc bag and pour the contents of the bag through a sieve or colander into a pot and set aside. 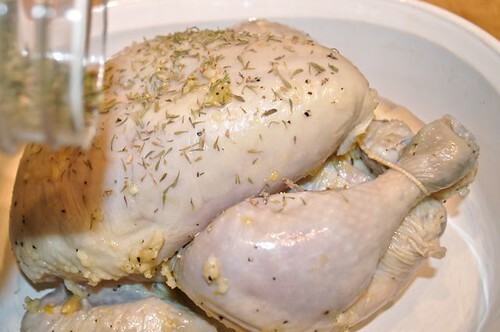 Remove the cooked chicken and tent under foil while you make a sauce. 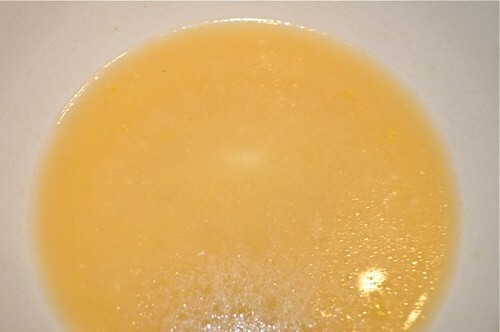 Simply pour the pan juices into a measuring cup, cool to separate the fat, remove the fat, add the congealed disc to the citrus juices in the pot and bring to a boil to reduce slightly. 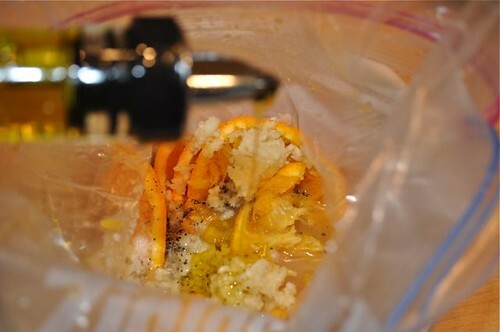 You’re done – enjoy your citrus roasted chicken any way you like!